New York State is notoriously strict with traffic violations. This is particularly true for repeat offenders! From the potential for hefty fines and fees to serious penalties, such as the temporary or permanent loss of your license, New York traffic law violations can significantly impede your financial status and mobility. If you have received a New York State traffic violation, contact the best Nassau County traffic ticket lawyer today! The Law Offices of Michael H. Ricca P.C. can help reduce, if not eliminate, the potential hardships created by accumulated New York State traffic violations. How? Keep reading to find out! DO NOT PLEAD GUILTY. FIGHTING YOUR TICKETS IS AS EASY AS 1-2-3! Law enforcement in New York State is always active. In fact, in 2017, the state issued 3,724,952 traffic citations! Nassau County accounted for 351,759, or 9.4%, of these tickets and had the second highest violation rate, after New York City itself. When law enforcement provides you with a ticket for a traffic violation, your fight begins. It is important to remember that you owe a response to your ticket within 15 days of the infraction. 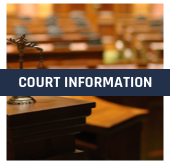 Failure to respond with a guilty or not guilty plea will kick off further actions from the State judicial system as well as the Department of Motor Vehicles (DMV). Have you received a traffic ticket? The Law Offices of Michael H. Ricca P.C. is here to help. To begin the process, however, we need to see a copy of the traffic violation. Simply upload a copy of your ticket for analysis or e-mail a copy of your ticket(s) to Tickets@RiccaLaw.com. 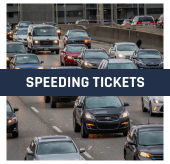 Within 24 hours of our office receiving your ticket(s), you will receive a phone call for your free telephone consultation with an experienced traffic ticket attorney. We will review the charges you are faced with, potential points or fines, how long the process will take, and potential outcomes with you. We will answer any questions that you have regarding your ticket(s). Are you ready to fight your ticket(s)? In most cases, there is no need for you to waste time coming into our office to sign any paperwork as this can all be done at your convenience with a few clicks of a button. After your free telephone consultation, we will e-mail you an electronic retainer agreement for you to e-sign as well as a payment link so you can pay your attorney fee with a credit card. Once we receive your electronic signature and payment, our firm handles the rest. All you need to do is sit back and relax while we take care of your traffic ticket(s) on your behalf. With so many individuals carrying a New York State driver’s license, the State has taken a stanch approach to violations. If you plead guilty to a traffic ticket offense, you can incur points on your license as well as costly fines. In addition, the majority of insurance companies look upon this as highly unfavorable, which can lead to increased premiums. Have you heard about the Driver Responsibility Assessment fee in New York? 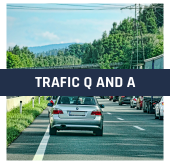 When you plead guilty, or are subsequently found guilty, of certain traffic offenses in New York State, you may be subjected to a mandatory Driver Responsibility Assessment fee for 3 years. When you accumulate 6 or more points on your driver’s license within an 18 month period based on date of conviction, New York deems you to be an “At Risk Driver.” To help encourage you to be more mindful of the traffic laws in New York, the State mandates a financial reminder that can be quite costly. The total Driver Responsibility Assessment fee is a minimum of $300 for the 3-year period. If you are found guilty of another traffic violation during this 3-year period, the Driver Responsibility Assessment fee will increase, as will other potential consequences, such as the suspension or revocation of your driver’s license. It is important to remember, the Driver Responsibility Assessment fee is in addition to all other fines and penalties you are subjected to. With our firm fighting your ticket(s) on your behalf, we will work hard to reduce the number of points you may incur. This, in turn, will lead to a reduction in fines and penalties as well as minimize the effects of the Driver Responsibility Assessment fee. Driving in New York State is a privilege, not a right. Depending on the ticket(s) you receive, you run the risk of losing your license. If you plead guilty to, or are found guilty of, traffic ticket offenses with violation dates occurring within an 18-month period, you are at risk of losing your license. If your traffic violations during that period total 11 points or more or if you have 3 speeding ticket offenses, your driver’s license can be suspended or revoked. If your license is suspended or revoked, it is a costly and time-consuming process to have your license reinstated. License suspensions may not seem like a big deal. After all, a suspension means your right to drive has only temporarily been suspended. In New York State, your license can be suspended for failure to pay your traffic fines, repeatedly violating traffic laws, refusing to perform a sobriety test, or several other reasons. In some cases, the court will issue a definite suspension that dictates precisely when your license can be reinstated. Keep in mind that you do have to pay a termination fee to reinstate your license at this time. An indefinite suspension is also possible. 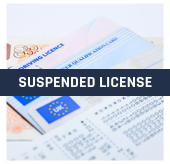 These types of suspensions do not have a specific end date, but the indefinite suspension order will tell you what you must do in order to have your license reinstated. This may include things like paying a traffic fine, state tax debts, or child support arrears. A license revocation is more severe. If your license has been revoked, it means that your driving privileges have been terminated. In some cases, you can be approved for another license. To do so, you will first need to request approval from the DMV. Depending on the reason for your revocation, however, the DMV may not approve your request, leaving you without a valid driver’s license permanently. We can help with this too! Our goal is to ensure that you maintain your privilege to drive. By reducing or eliminating points on your driver’s license, The Law Offices of Michael H. Ricca P.C. can help to ensure you keep your driver’s license. The saying “time is money” could not be any more true. Your time is precious to you. Whether it be spending time at work, with your family, or doing anything else that you love, why should you have to spend your time waiting to see a judge? In most cases, when you work with The Law Offices of Michael H. Ricca P.C., we handle your case from beginning to end without you having to make a trip to our office or to court. Once we resolve your case, we immediately inform you of the outcome. It is that simple when you hire the best Nassau County traffic ticket lawyer! We have mentioned points a few times. But do you know what the New York State point system is? In the State of New York, you are expected to abide by the established Vehicle and Traffic Law (VTL). This piece of legislation helps to keep our roads safe for all drivers. Violating the Vehicle and Traffic Law puts other drivers and their vehicle’s occupants in jeopardy. 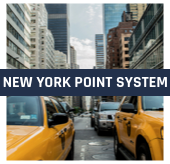 To help law enforcement identify drivers who continually disregard the laws, New York’s DMV assigns point values to specific traffic violations. Let us start with some of the most common types of violations: speeding tickets. If law enforcement catches you going 1 to 10 miles per hour (MPH) over the speed limit, it will result in a 3 point ticket. For speeding 11 to 20 MPH over the posted limit, you will receive a 4 point ticket. Caught speeding 21 to 30 MPH over the limit? That is a 6 point ticket. For tickets issued for driving 31 to 40 MPH over the speed limit, 8 points will be added to your driver’s license. For those who are driving more than 40 MPH over the speed limit, you will receive 11 points upon your conviction. For all other speeding violations, you will earn yourself 3 points. 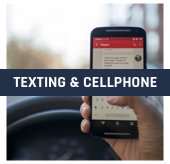 Cell Phone use while driving can cause accidents within seconds. In fact, it is one of the leading causes for serious or fatal car accidents all over the nation. Like many other states, New York takes the use of cell phones while operating a vehicle seriously. Improper cellphone use, such as not using a hands-free device, can result in a 5 point ticket. Texting while driving will also result in a 5 point ticket. There are a host of points you can rack up for failing to abide by certain safety regulations. Failure to stop for a school bus endangers our children’s welfare, as well as that of other drivers. This can result in a 5 point ticket. Failure to obey traffic signals, stop signs or yield signs warrant 3 points per infraction. Failure to obey railroad crossing regulations and signs is another 3 point ticket. If you fail to yield to the right-of-way – you are looking at another 3 point ticket. Failure to properly secure your children, such as using a seat belt or a child safety seat as needed, is a 3 point ticket for each passenger under the age of 16. Reckless driving in New York, which simply refers to endangering others through knowingly driving in an unsafe manner, results in a 5 point ticket. Making improper lane changes, passing unsafely, or driving in the wrong direction are all 3 point tickets. Tailgating, if caught, can lead to 4 points being added to your driver’s license. Having inadequate brakes can net either 4 or 2 points. If you own the vehicle, you will receive a 4 point ticket. If you are in an employer-owner vehicle, however, you will receive 2 points on your driver’s license. Leaving the scene of an accident that has resulted in property damage or the injury of a domesticated animal is a 3 point violation. 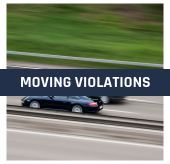 All other moving violations not mentioned are not without penalty, however. These unnamed traffic violations all result in 2 points being added to your license. Driving while intoxicated (DWI) in New York State (or anywhere!) is not a good idea. However, these offenses will not result in points. What do they result in? The suspension or revocation of your license, fines that can run between $300 and $10,000, and the potential for jail or prison time. Not only will repeated offenders face increased punishments, they can find themselves facing a felony criminal record simply based on driving while intoxicated. Points do add up quickly. If you are pulled over for an infraction, you can be ticketed for more than one offense. Improper cell phone use (5 points). In a single instance, you have accumulated 14 points! Even if you have never received a driving citation before, these points can mean the loss of your license, increased insurance premiums, expensive fines, and other penalties. Having The Law Offices of Michael H. Ricca P.C. on your side can help ensure you have the best legal counsel available when it comes to fighting your traffic tickets. 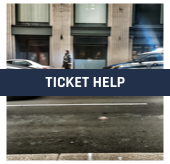 FIGHT YOUR TICKETS WITH HELP FROM THE LAW OFFICES OF MICHAEL H. RICCA P.C. Fighting your tickets is the best way to prevent the accumulation of points on your license, as well as hefty fines. With help from The Law Offices of Michael H. Ricca P.C., you have the best chance of reducing, if not eliminating, these points from your license. But why choose us? The Law Offices of Michael H. Ricca P.C. has the experience you need to fight any traffic ticket. From small, misdemeanor violations to more serious felony charges, you can trust your representation has the experience you need when you hire us. Whether you are looking to get out of points, fines or even jail time – trust the experience of Michael H. Ricca to help you diminish, if not completely eliminate, any potential penalties you may face. Not all attorneys are created equal. Trusting your case to a public defender or some paid attorneys can be a mistake. Often overburdened, many of these individuals are unable to give your case the attention it deserves. This is not true with The Law Offices of Michael H. Ricca, P.C. We only take on the cases we can provide adequate representation for. This means we take the cases our workload permits us to ensure that each client gets the attention they deserve. The New York Association of Criminal Defense Lawyers. In addition to his many memberships, he has also garnered several noteworthy accomplishments. This includes being named Young Lawyer of the Month in April 2015 by the Nassau County Bar Association. He has also been featured on the exclusive Super Lawyers Rising Star List in 2016, 2017 and 2018. In 2017, The National Academy of Criminal Defense Attorneys also ranked Mr. Ricca as one of the “Top 10 Under 40 Attorneys” in the nation. READY TO FIGHT? SO ARE WE! If you are ready to fight your New York State traffic ticket, we are ready to help you do so. Per the above instructions, all you need to do is upload a copy of your traffic ticket or email us a copy at Tickets@RiccaLaw.com. 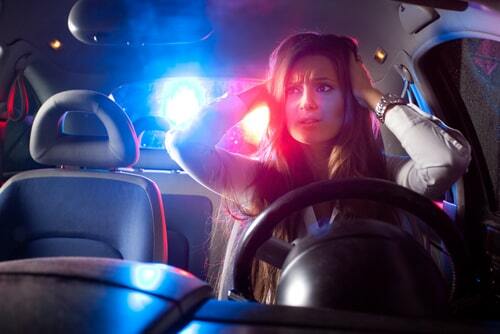 Understand how a traffic ticket can lead to a downward spiral financially. However, the impacts go beyond this as points accumulate. By accumulating points on your driver’s license, you will also likely see increases in your insurance premiums, mandatory Driver Responsibility Assessment fees, and a potential loss of your driving privileges. The hardships this creates can lead to the decreased ability to get around, the loss of your job, and even a criminal record! Pleading guilty to any traffic ticket is not the solution. But where does the fight start? Contact the Law Offices of Michael H. Ricca P.C. today to schedule your free telephone consultation today!